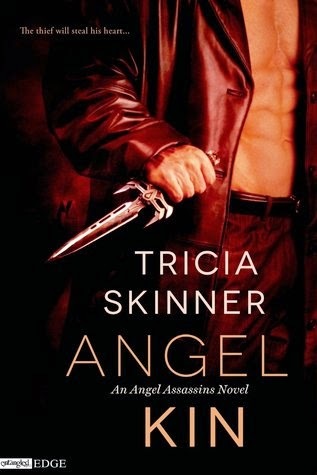 This is my first experience with Tricia Skinner and I loved it! 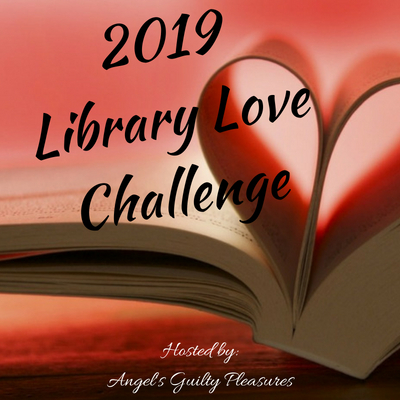 I am going to be reading the prequel Angel Bait and will be checking out the next book in the Angel Assassins series Angel Lover. Angel Kin is a re-launch and a fabulous read! I enjoyed every minute, the characters are interesting and the world is remarkable. We get murder, action, suspense, sibling rivalry and romance to name a few things brought to us in this amazing first book. I was blown away within the first chapter and sitting on the edge of my seat until the very end. The world is made up of all types of creatures and humans know about them. Angel Kin is about Cain, a Nephilim assassin (half angel/half human) and Katie, a not-so reformed thief. Cain is oh so scrumptious with his tortured past and bad boy attitude. Katie is an oddity. Not sure how I feel about her, but I did enjoy reading about her. Katie witness a murder and is lead to The Bound Ones for protection, but she finds a man who looks just like the killer with them. (Can we say freak out!) Who is this mysterious look a like? The emotions between Cain and Katie where realistic from tenderness, trust, acceptance, intimacy, to love. It was nice to watch/read their relationship bloom. The Bound Ones are an interesting bunch and I can't wait to learn about each brother. It would have been nice to see more of the brother's bond in this story. Each of The Bound Ones have a past that is not pleasant. We learn some interesting things about them, but it is not clear as to why. I'm hoping more is revealed in the rest of the books. Angel Kin is a fantastic fun adventurous read! The story moved at a good pace there was plenty of action and some romance with at least one good steamy scene. 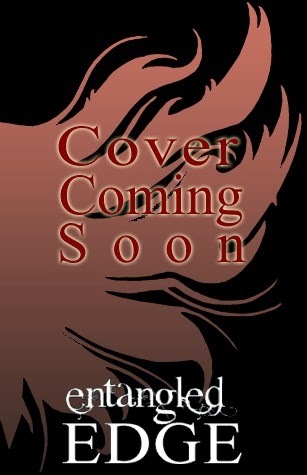 I recommend reading this series if you enjoy Angels as well as any urban fantasy/paranormal romance fans. I look forward to continuing this series. Disclosure: I received a complimentary ARC copy free of charge from the author with the sole purpose of an honest review. All thoughts, comments and ratings are my own opinion. Hmm I'd not heard of her. That's quite the eye catching cover and dang it sounds good! On the list it goes! I've never herd of this author either, but her books are up my alie, so I said yes at the chance to read/review. The cover is great and as you can tell I loved the book. Now I have a new auther to keep up on. You are welcome. I'm currently reading Angel Bait the prequel and it explains a little more about Heaven and the predicament these boys are in. Love it! 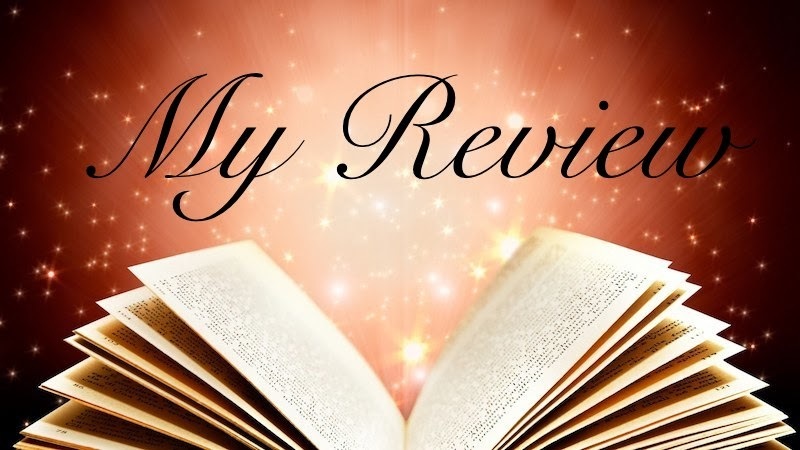 Angel, thank you for reading and posting a review of Angel Kin. I'm flattered you enjoyed the story. Just a note about Angel Bait. That was my debut last year and I was with a different publisher. I hope to republish (with one notable change to the team's name, as you will see) soon. But I hope you enjoy Jarrid and Ionie's story in any case. Hi Tricia. Thank you for stopping by and seeing the review on Angel Kin. I thank you for the opportunity to read and review. I did read Angel Bait and yes I saw the differences, but they did not take away from Jarrid and Ionie's story. I am enjoy your series and can't wait for book 2. Out of the Office! Moving! All books reviewed on this blog were either purchased by the reader, borrowed, or received from the author/publisher for an honest review. All reviews will state how I received the novel. I do not receive compensation of any kind for the reviews. The layout, images, reviews, and other content on the blog are not to be redistributed without written permission. If a person purchases a book, or product through our affiliate link to Amazon, AllRomance, & BookDepository we are eligible to receive a small commission.